Rainfall isn't just a number. Find out how much your neighborhood is expected to get—and how you can prevent that stormwater from damaging your home this season. Can rain really damage your home? Well, that depends on the storm and on whether or not you’re ready for it. One inch of rain might not sound like much, but when spread over a 1,000-square-foot roof, it all adds up to a volume of 600 gallons! With so much rain, some of it’s going to find its way indoors eventually—unless your home is protected. HOW MUCH RAIN DOES YOUR STATE EXPECT? 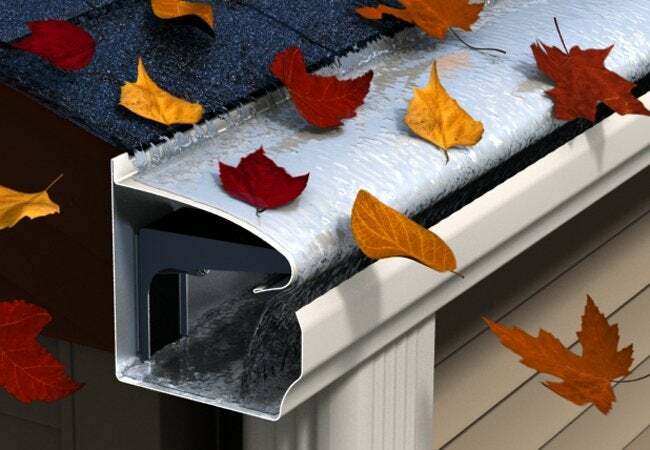 Gutters are your first line of defense against stormwater damage. But typical gutters only work right when regularly maintained. That’s why you need maintenance-free LeafGuard gutters. Designed with a unique curved hood, the seamless one-piece LeafGuard system never clogs. You never have to clean, let alone think about, your gutters. And your home remains protected, no matter what the weather brings. 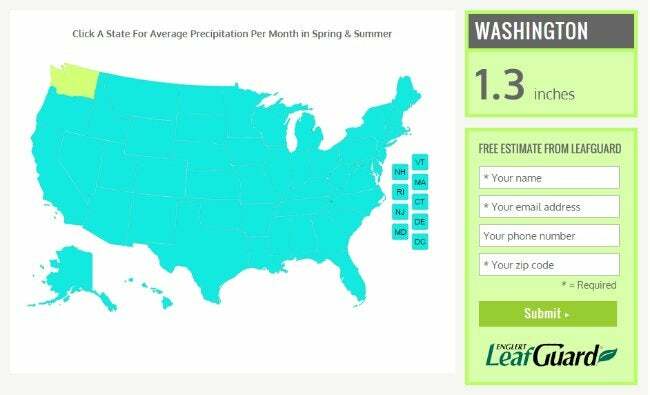 Click here to see your state’s average rainfall, then get info on how LeafGuard can help protect your home from whatever Mother Nature throws at you.